A Polish trucker who smashed through the central reservation of one of Scotland’s deadliest roads while almost five times the legal alcohol limit was told the consequences could have been “catastrophic”. Rafal Dlugosz, 31, Cuthill Crescent, Bathgate, appeared for sentencing before Sheriff Jillian Martin-Brown at Forfar on Thursday when he was banned from driving for two years. The long-distance lorry driver had downed a bottle of whisky before jumping into the cab of his lorry to drive from Aberdeen to Manchester in the early hours of June 10 2017. 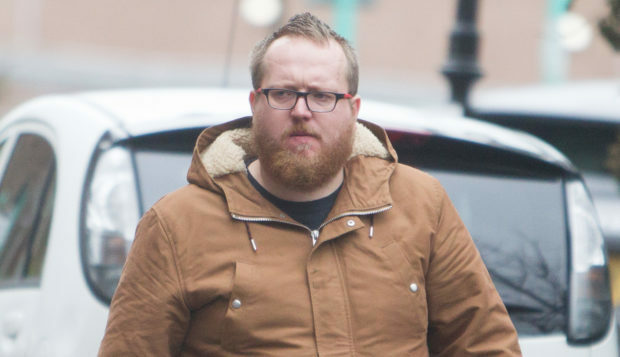 He was so intoxicated he veered off to the nearside of the A90 Dundee to Aberdeen dual carriageway near Brechin and slammed through the barrier with a violent over-correction in an attempt to recover control of his lorry. He found himself on the opposite side of the road before being able to bring the truck back into the proper carriageway and pull over a short distance later. When he was breathalysed, Dlugosz was found to have an alcohol reading of 98 microgrammes – more than four times the legal limit of 22. The court heard a driver heading north saw Dlugosz’s lorry “career through the carriageway” on to the north bound carriageway then back on to the south bound carriageway. The Police were dispatched to the scene and found a white heavy goods vehicle in a lay-by, spilling diesel on to the carriageway. At 5.10 am they found the accused outside the vehicle, trying to stem the flow of fuel. He was unsteady on his feet and gave a breath specimen. Officers noted tyre marks, debris and oil spillage on the road. An agent for the Polish national, who appeared in the dock alongside an interpreter, explained his client normally lives in Poland and was employed by a Polish haulage firm an he immediately lost his job. He said: “At 10.30 pm the previous evening he was speaking to his mother on the phone and got some upsetting news. “He purchased a bottle of whisky and consumed it. “He woke at the back of four, he knew he was under the influence of alcohol and he drove with almost catastrophic affect. “He made reference to skidding to avoid a deer which was perhaps a glib remark in the heat of the moment. At an earlier court appearance Dlugosz had pled guilty to driving with excess alcohol on June 10 on the A90 about 300 metre east from the service road leading to West Kintrockat Farm. She disqualified him from driving for two years, ordered him to re-sit a driving test, gave him a 12 month community pay back order and ordered him to complete 200 hours of unpaid work.